Being told that you are diagnosed with cancer can be a terrifying thing. This terrible disease can be implicated in many locations, and most types of tumors cannot be cured completely. But today’s cancer treatments can slow down or even eliminate a small and isolated tumor. Chemotherapy and radiation therapy can, however, have undesirable and even painful side effects that involve your body and your mouth. Understanding those side effects can help manage them, making your cancer treatment more comfortable for your mouth. Dentists recommend having an oral exam before starting chemotherapy or radiation therapy. If you have problems such as cavities or gum disease, they should be treated prior to any cancer treatment in order to minimize complications. How can cancer treatments affect your mouth? The immune system weakens in general, making your mouth more vulnerable to infectious diseases such as cavities (tooth decay) or periodontal disease. Salivary glands are affected during cancer treatment, reducing their production of saliva. Xerostomia, or dry mouth, follows a lower saliva flow in your mouth. This can induce a burning feeling in your mouth and around your tongue if it’s not controlled. Your jaws might become stiff, making it harder for you to eat, to speak, or to swallow. * The ability to taste foods also decreases, as well as your appetite in general. In order to manage all those undesired side effects, your dentist can make your recommendations to keep your mouth healthy and comfortable. Oral hygiene is extremely crucial! When doing cancer treatments, the saliva flow is reduced in your mouth (xerostomia). This condition makes it easier to develop cavities and gum disease. 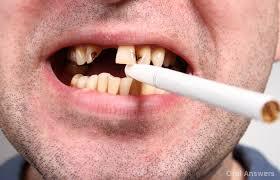 Oral hygiene is therefore very important and you should brush your teeth after each meal and floss twice a day. Chose mild-tasting toothpaste, because too much flavor can irritate your mouth tissues. If your toothpaste still irritates your mouth, you can rinse with water and salt after brushing. To avoid periodontal disease, rinse your mouth with an antibacterial solution, either salted warm water or with something you buy over the counter. Do not use a mouthwash that contains alcohol. Xerostomia is an unpleasant sensation caused by reduced production of saliva in the mouth when the salivary glands are affected by chemotherapy or radiation therapy. This situation can increase the risk of developing cavities and can also initiate a burning or painful feeling in your mouth. If you have cancer and are suffering from dry mouth, your oral hygiene, which consists of brushing and flossing becomes even more important. 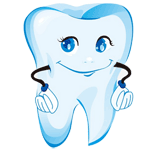 If there are areas in your gums that are bleeding or that are sore, floss gently around them. You are also advised to use a fluoride-containing toothpaste in order to protect your teeth even more against tooth decay. 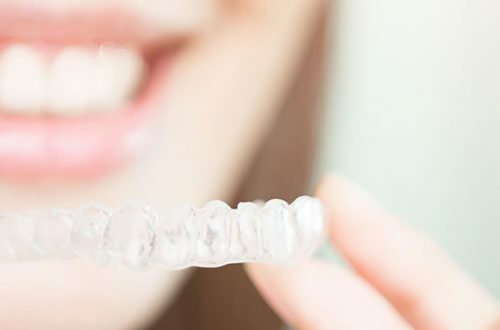 You can rinse your mouth with a solution of salt and baking soda in warm water several times a day, and this followed by rinsing with water alone. Other mouthwashes may also be used to rinse your mouth, but as long as they don’t contain alcohol. Cancer treatment also reduces your ability to taste foods, and you might find it more difficult to eat the foods that you are used to eating. But despite these uncomfortable difficulties, it’s important to maintain a balanced diet as it is recommended by your physician and your nutritionist. Some of the side effects of cancer treatment are nausea and loss of appetite. Even if you experience those consequences, it’s important to get the right amount of nutrients and calories in your body. You must make sure you get enough vitamins and proteins. If needed, you may use vitamin supplements that also provide essential minerals. Acidic foods can irritate your mouth. You should keep away from acidic, high-sugar beverages like soft drinks and energy drinks. Eating grapefruit or drinking orange and tomato juice should also be avoided because they are naturally acidic foods that can bother your oral tissues. You must avoid smoking and drinking alcohol during cancer treatment. Tobacco is a strong carcinogen and should never be consumed in the first place, even less if you are diagnosed with cancer.